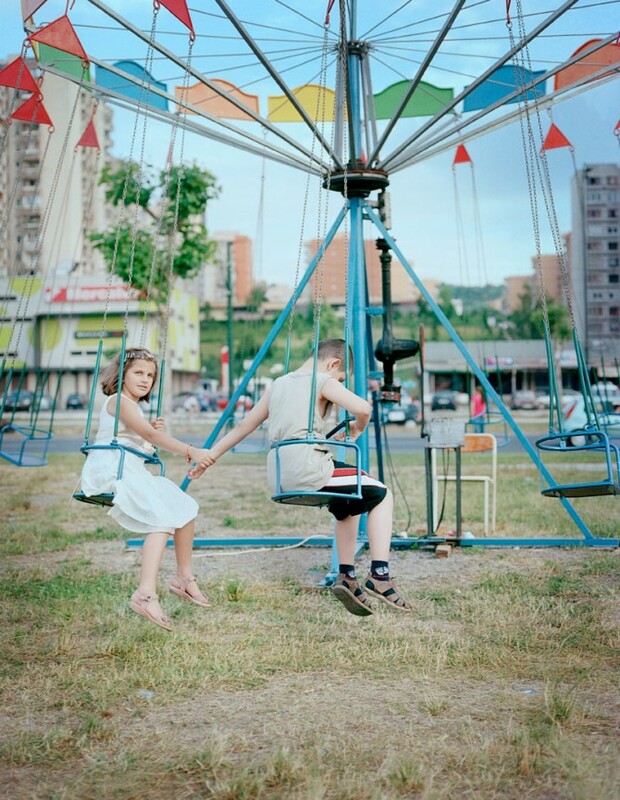 D-Photo looks at interesting photographers doing interesting things – US photographer Christine Armbruster talks to us about her trip to Sarajevo to create her project Mortar Shells and Cigarettes, intended to be a documentary look at post-war Bosnia that turned into something more personal in the process. 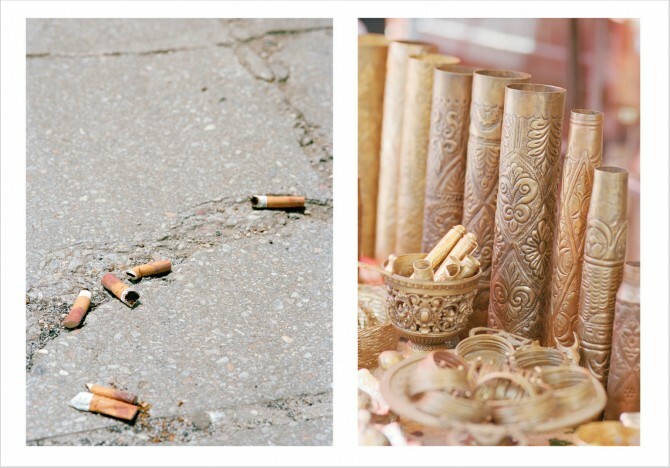 D-Photo: Can you briefly describe what your project Mortar Shells and Cigarettes is? Christine Armbruster: I see Mortar Shells and Cigarettes as a memoir of learning that life isn't black and white in the context of a post-war city. 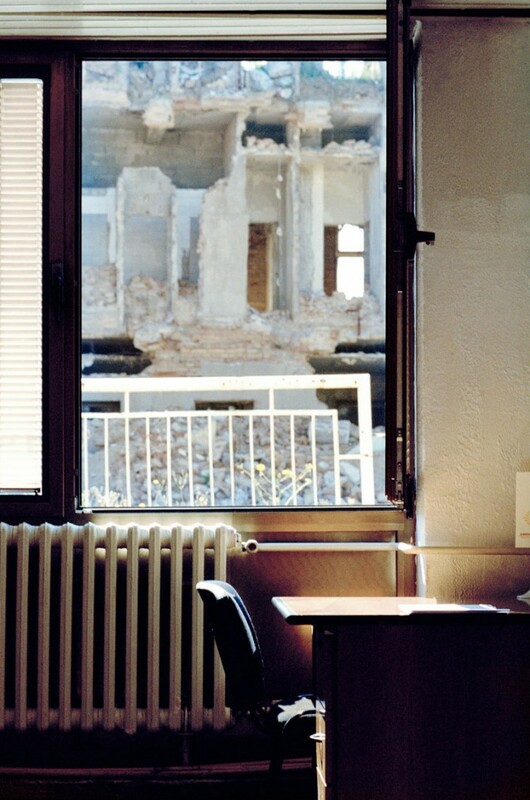 It is my reaction to a city and the stories told of war while I walked the streets of Sarajevo for over a month. I think it is a blend of documentary, street, and fine art photography if you feel the need to categorize it. What made you want to travel to Sarajevo? Since I was a kid I always wanted to go to Sarajevo. My best friend moved there when I was younger and would write me letters telling me of the beauty of the city and it always stuck in my mind. Some dream of going to the canals of Italy or the Eiffel Tower as a child, and I had dreams of Sarajevo. How long did you stay there for and where did you live? I stayed there a little over a month. While living there I stayed with an ex-pat from Washington D.C. and her family whom my best friend had known while living there. It was nice because she lived a little bit outside of the city, so I got to step away for a moment each day and think about what I saw and not be totally overwhelmed. Also, it was really wonderful to stay with someone who had lived in Sarajevo for 10 years. She was not a native, so she saw things differently and had an unique perspective on the city that I may not have been able to understand as fast as I did without those late night conversations with her about what I was seeing. Was the city as you expected it to be? I think expectations are a tricky thing to deal with when doing documentary work. If you expect one thing you will only look for that, possibly ignoring reality in front of you. I did have expectations since it was a dream city for me, but I had to quickly disregard all my expectations, afraid that I might show something that wasn't really there or simply get my heart broken by the city. How did you approach looking for subjects? I am a big fan of simply walking around and looking. That is all that I did for the entire month. Rarely did I go out thinking, “Today I want to find this particular thing”. I would just leave the house in the morning, walk until my legs were sore and come home in the evening. What I photographed were those people who caught my eyes, the buildings I found to be interesting. It was solely reaction based, like most of my work. How did people react to you wanting to shoot them? Generally speaking, I was received very positively when wanting to photograph people. Often times people would just open up and start telling me stories. That was the best thing about the war in the ‘90s, is that everybody had a story. Whether they were even alive or not during the war, that was the first thing that was mentioned, was their story. It makes it interesting and just makes you realize how much the war from nearly 20 years ago is on their mind still today. It was almost as if they wanted their story to be told, as if they needed it to be told. What kind of photographic gear did you use? I used a Bronica ETRS 4.5/6 medium format film camera for most of the images and a Canon 35mm camera for some. I used Kodak Portra 400NC film for all of it, which has since been discontinued. What did you find was the most difficult thing in getting the project completed? Finding what I wanted to say was absolutely the most difficult thing in completing the project. Once I had my images, it launched off, but it was that initial project that I struggled with. I wanted to talk about war, but I was criticized for it, having not been there during that time and thinking I could just walk on in and tell their story. It was a big learning process for me. It taught me that maybe not every project and every story is mine to tell, but what I can tell is how I react to situations, how I see a land that is often seen as simply war-torn. I wish I would have had a tape recorder with me. Some of the stories I heard were just so fantastic, but I heard so many and only remember so many details. Perhaps I could have incorporated these stories into my project... or just listen to them again to remember them. What would you like viewers to take away from your project? 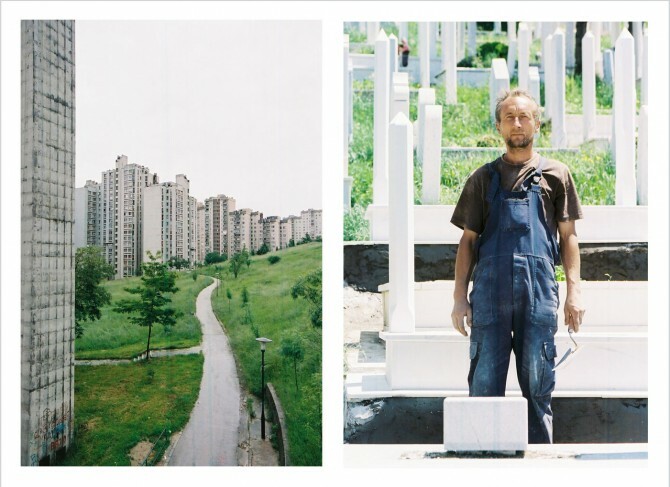 I expect the viewers to take away the same emptiness and peace I felt while in Sarajevo. Sounds contradictory, but that is exactly how I felt. I felt empty, like I had no business being there photographing, kind of like it was just none of my business. Alienated because I didn't have a story like everyone else. But at the same time, I felt very peaceful there and I tried to capture that in my images. It felt as if they had just gone through hell, but it was going to be ok. Everything was going to be fine. I recently finished a series about Bedouins in the Arabian Desert forced out of homes and into caves due to a failed political institution to make these nomads more settled. I would like to focus my energy on showing that, possibly even in the regions that I photographed in and while I am over there, do some more exploring of the Middle East. Or possibly just run off to Central Asia (Uzbekistan, Turkmenistan, etc.) for something completely new and different. I am really into forgotten places and no-mans lands. Head over to Christine's website for more of her thought-provoking work across a range of styles.